Labour’s 2017 election manifesto, with its radical articulation of an economic programme ‘for the many, not the few’, represents a conspicuous turn away from neoliberal austerity and the accommodation of New Labour governments to the Thatcherite legacy. Although not official party policy, the stress the party’s Alternative Models of Ownership report put on the role of municipal public ownership and procurement policies to nurture worker and community co-operatives was designed to encourage broad discussion of new socialist strategies. Also revived was the concern, voiced by the Labour left since the nationalisations of the 1945 government, to avoid the replication of top-down corporate management in publicly-owned enterprises by encouraging new forms of industrial democracy as well as accountability to ‘diverse publics’. Yet this clearly falls well short of representing a strategy for achieving a transition from capitalism to socialism, whether as conceived in the old Clause Four commitment to ‘the common ownership of the means of production, distribution and exchange and the best obtainable system of popular administration and control of each industry or service’; or as it was later more vaguely put on the Labour left as taking over ‘the commanding heights of the economy’. No less important, proposals for the expansion of co-ops and workers’ control at the enterprise level, while legitimately raising the potential transformative contribution of workers’ collective knowledge, underplay how far workers’ actual capacities have been constricted under capitalism. Moreover, the emphasis on decentralised forms of common ownership usually skirts the crucial question of how to integrate and coordinate enterprises, sectors and regions through democratic economic planning processes, which are necessary to avoid reproducing the types of particularistic and dysfunctional competitive market behaviour that socialists want to transcend. Perhaps most problematic is the glaring silence on how the promotion of a high-tech, internationally competitive industrial strategy relates to the development of a transformational strategy to socialism. And related to this, there are real strategic costs associated with the understandable reluctance to publicly broach the vexing question of how and when to introduce capital controls, so essential to investment planning as well as to counter the blackmail of governments via capital flight in open financial markets. In contrast with the new left insurgency of the 1970s, there is a marked avoidance today of openly discussing the need to turn the whole financial system into a public utility. In the absence of this, effective socialist economic and social restructuring of Britain, let alone with decentralisation of significant democratic decisions to the local community level, cannot be realised. This is not to say that merely calling for sweeping immediate nationalisations really addresses the strategic problems this entails. As Tony Benn told the 1979 Labour conference in speaking for the national executive against Militant’s ‘resolutionary’ posture demanding the immediate nationalisation of the top 200 industrial and financial corporations, it simply failed to take seriously what it meant to be ‘a party of democratic, socialist reform’. While averring he was a ‘Clause Four socialist, becoming more so as the years go by’, Benn nevertheless rightly insisted that any serious socialist strategy had to begin from ‘the usual problems of the reformer: we have to run the economic system to protect our people who are locked into it while we change the system’. This stark dilemma was also seriously addressed by Seumas Milne, the former Guardian journalist who is today Corbyn’s right-hand man, in his 1989 co‑authored book Beyond the Casino Economy. On the one hand, it argued that ‘one of the necessary conditions for a socialist society would be to turn [the top] few hundred corporations into democratically-owned and accountable public bodies’. On the other, it conceded that ‘in the foreseeable circumstances of the next few years, the socialisation of all large-scale private enterprise seems highly unlikely’. 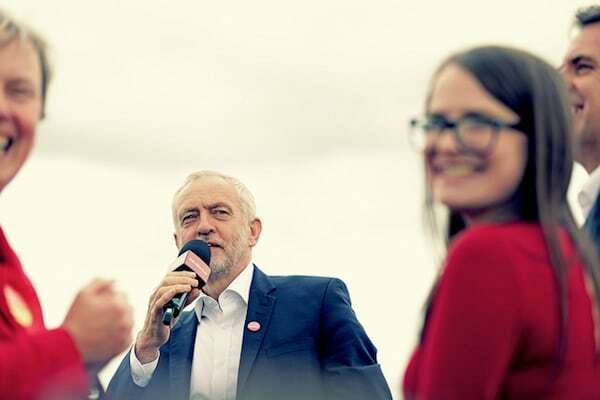 This limited ‘what can plausibly be proposed as part of a feasible programme for a Labour government in the coming years–even one elected in an atmosphere of radical expectations’. The crucial point here is not to stubbornly insist on an immediate radicalisation of policy that can only represent ineffective sloganeering. The constraints of the internal balance of forces in the party, as well as electoral ones, still shaped the Labour manifesto. The measure of the Corbyn leadership in this regard should not be how explicitly socialist its policies are, but rather the extent to which it problematises how to implement reform measures in such ways as to advance, rather than close off, future socialist possibilities. That is, to enhance–through the development of class, party and state capacities–the possibility of realising socialist goals. Here is where the lessons to be learned from the Syriza experience become especially important. One of its original leading cadre, Andreas Karitzis, who remained in the party apparatus while others rushed into the state, has recently articulated this extremely well in arguing that decision-making processes at the parliamentary and governmental levels ‘are just the peak of the iceberg of state policy’. This was ignored by ‘the dozens of committees that had been formed and reproduced vague political confrontations instead of outlining specific implementation plans by sector to overcome obstacles and restructure state functions and institutions with a democratic orientation’. Strategic planning to this end must, as Karitzis puts it, ‘not only involve the government but requires methods of social and political mobilisation at multiple levels and of a different nature than movements of social resistance and actions for attaining government power’. Perhaps the most unfortunate result of this was that grassroots participation exhausted itself ‘in protest or support demonstrations, rather than in substantive and productive engagement’. In terms of the lessons the Labour Party under Corbyn’s leadership can draw from this, it might especially have been hoped that Corbyn’s ‘Digital Democracy Manifesto’ might have pointed in that direction. Unfortunately, it betrayed ‘a rather narrow image of technology that concentrates on the internet, end-users and “networked individuals”…an image of publicness in the form of networks that nevertheless has security and privacy at its heart’, as Nina Power has noted. The result is that the report contributes very little to how ‘the new digital technologies help us to think about democratic economic planning’, as Power goes on to do for the care services sector of the economy. This needs to be extended to thinking through the role of digital technology in economic planning (see page 25), as is needed to turn the Alternative Models of Ownership report into a socialist strategy. This is especially so for how to develop the planning capacities to transform financial services, Britain’s dominant economic sector, into a public utility–starting with those banks rescued in the wake of the 2007-8 crisis that remain in public hands but are still required to operate as commercial enterprises. To stress the importance of a democratic socialist strategy for entering the state through elections to the end of transforming the state is today less than ever a matter of discovering a smooth gradual road to socialism. Reversals, of various intensities, are inescapable. How to cope with this while not pushing off to an indefinite future the measures needed to begin the transformation of the state is the crucial socialist political challenge. Given the legitimacy and resources that inevitably will accrue to those party leaders who form the government, the autonomy of the party–which must more than ever keep its feet in the movements–is necessary in order to counter the pull from inside the state towards social-democratisation. This is why strategic preparations undertaken well before entering the state on how to avoid replicating the experience with social democracy are so very important. But even with this, the process of transforming the state cannot help but be complex, uncertain, crisis-ridden, with repeated interruptions. Transformations of state apparatuses at local or regional levels, where circumstances and the balance of forces are more favourable, may be more successfully pursued, including developing alternative means of producing and distributing food, healthcare and other necessities at community levels. This could have the further benefit of facilitating and encouraging the involvement of women in local and party organisations, as well as stimulating autonomous movements moving in these directions through takeovers of land, idle buildings, threatened factories and transportation networks. All this may in turn spur developments at the higher levels of state power, ranging over time from codifying new collective property rights to developing and coordinating agencies of democratic planning. At some points in this process, more or less dramatic initiatives of nationalisation and socialisation of industry and finance would have to take place, being careful to ‘mind the gap’ between participatory socialist politics and previous versions of state ownership. Given how state apparatuses are now structured so as to reproduce capitalist social relations, their institutional modalities would need to undergo fundamental transformations so as to be able to implement all this. Public employees would themselves need to become explicit agents of transformation, aided and sustained in this respect by their unions and the broader labour movement. Rather than expressing defensive particularism, unions themselves would need to be changed fundamentally so as to actively engage in developing state workers’ transformational capacities, including by establishing councils that link them to the recipients of state services. Of course, the possibility of such state transformations will not be determined by what happens in one country alone. During the era of neoliberalism, state apparatuses have become deeply intertwined with international institutions, treaties and regulations to manage and reproduce global capitalism. This has nothing at all to do with capital bypassing the nation state and coming to rely on a transnational state. Both the nature of the current crisis and the responses to it prove once again how much states still matter. Even in the most elaborate transnational institutional formation, the European Union, the centre of political gravity lies not in the supranational state apparatus in Brussels. It is, rather, the asymmetric economic and political power relations among the states of Europe that really determines what the EU is and does. Any project for democratisation on an international scale, such as those being advanced for the EU by many on the left in the wake of the Syriza experience, still depends on the balance of class forces and the institutional structures within each nation state (see page 44). What socialist internationalism must mean today is an orientation to shifting the balances of forces so as to create more space for transformative forces in every country. Here, ‘reform versus revolution’ is not a useful way to frame the dilemmas that socialists must actually confront. Political hopes are inseparable from notions of what is possible. And possibility is itself intimately related to working class formation, and indeed reformation of the broadest possible kind, and the role of socialist parties in this, with the understanding that developing commitments to socialism–getting socialism seriously on the agenda–requires addressing the question of political agency more broadly in terms that develop the agential capacity for state transformation, so that governments with a socialist project not be stymied by the inherited state apparatuses. In this respect, socialist parties in the 21st century cannot see themselves as a kind of omnipotent deus ex machina. Precisely in order not to draw back from the ‘prodigious scope of their own aims’, as Marx once put it, they must ‘engage in perpetual self-criticism’ and deride ‘the inadequacies, weak points and pitiful aspects of their first attempts’.